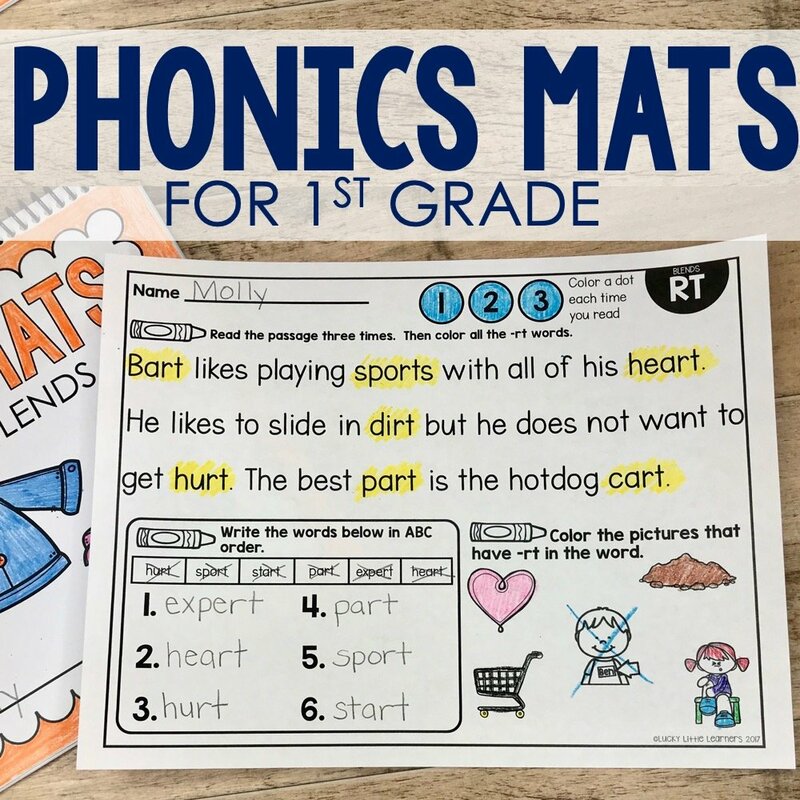 Sight word fluency is important with young readers because of the frequency that they show up in text. 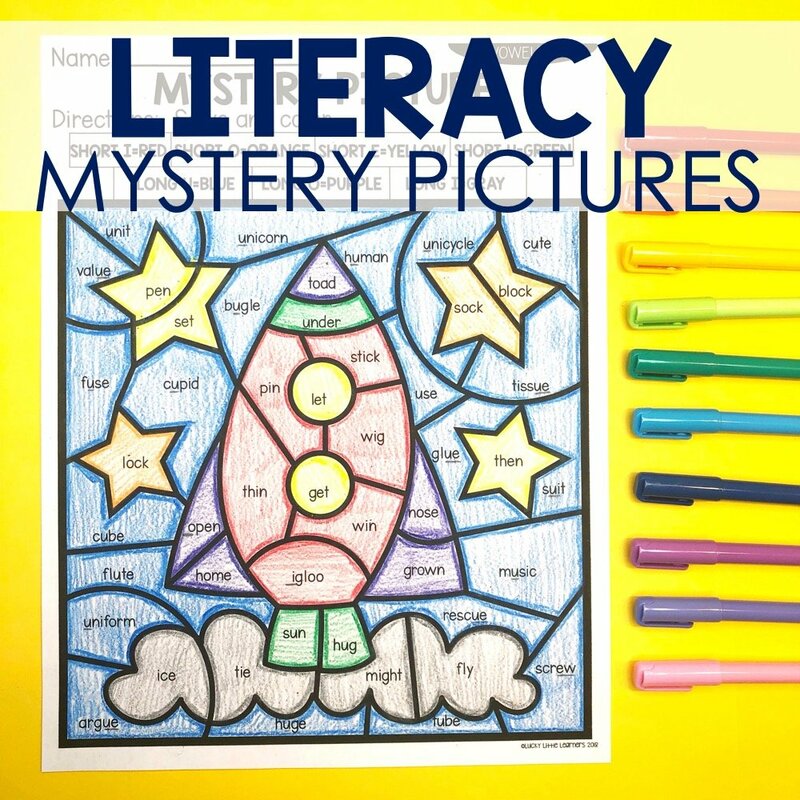 When looking at a list of approximately 300 sight words, did you know that about 75% of them show up in children’s books? 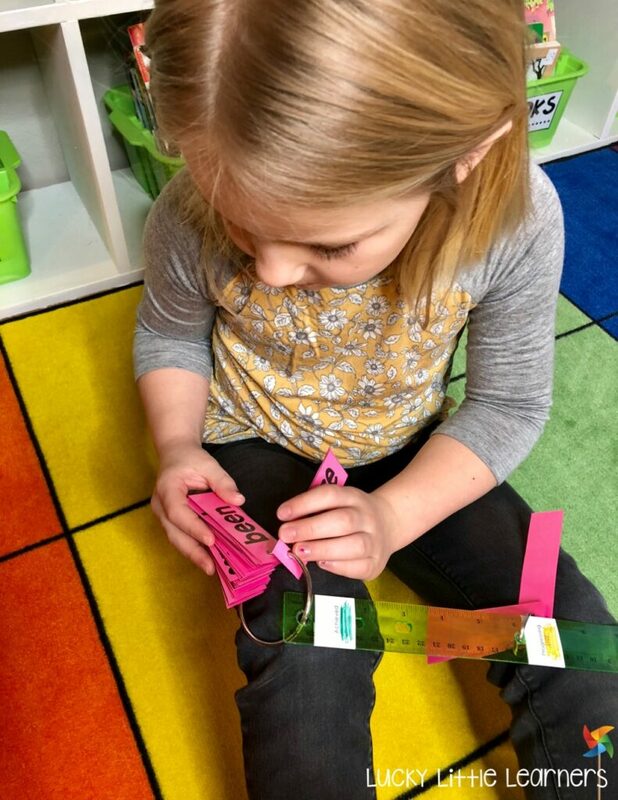 Sight word recognition is an essential component in the mastery of reading (Compton, 1997; Freebody & Byrne, 1988; Strickland & Morrow, 1991; Szeszulski & Szeszulski, 1987). 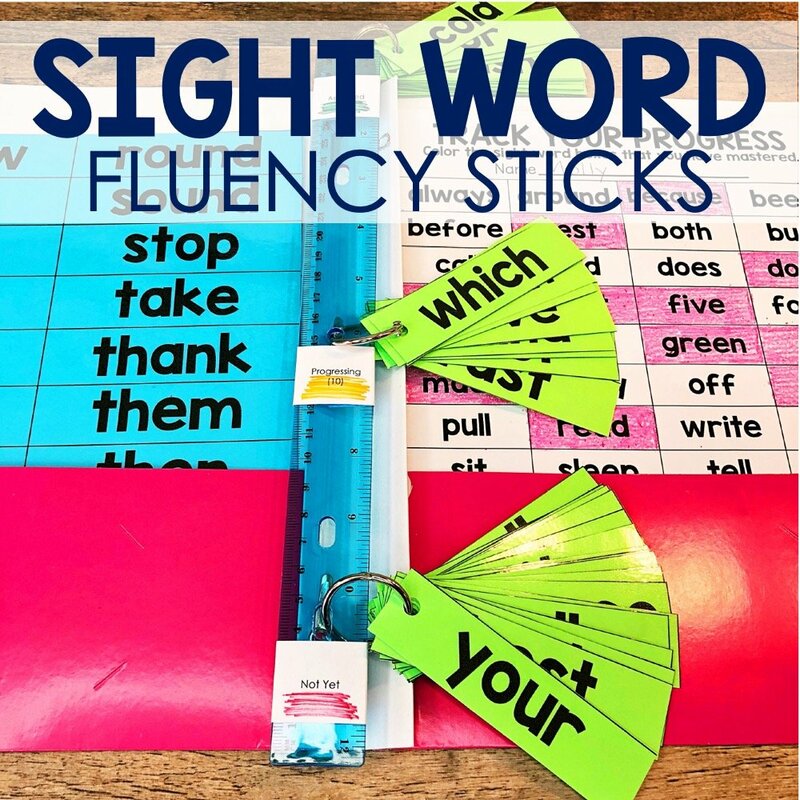 This post is going to explain how sight word fluency sticks can be used in the classroom to help your students master their sight word fluency. 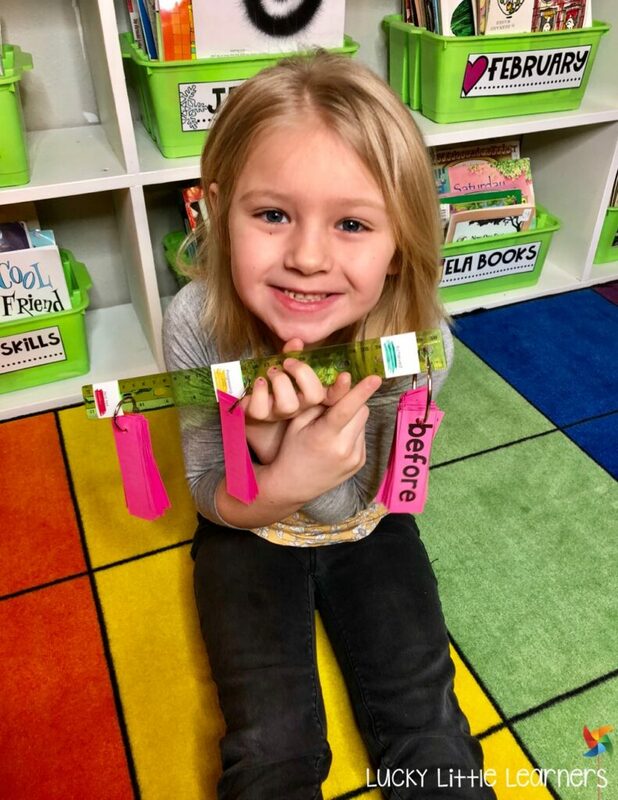 With all of these components in mind, I created these sight word fluency sticks and am happy to tell you that all of these important components are included in this system. 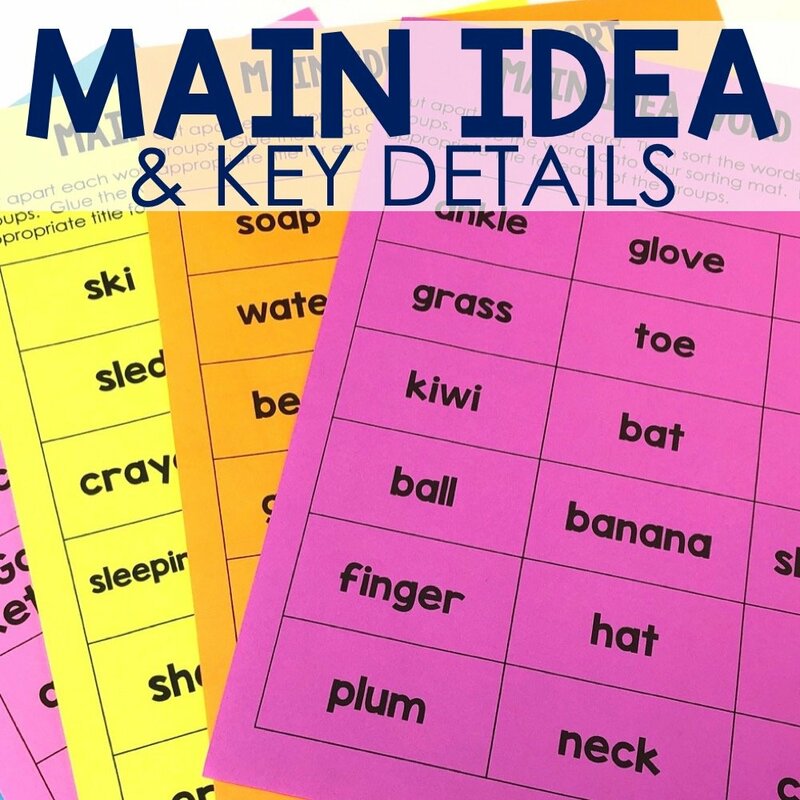 The first thing that needs to be decided upon is which sight word list you want to use. The two main lists are Dolch and Fry. Some school district have their own sight word list so you will want to check on this. 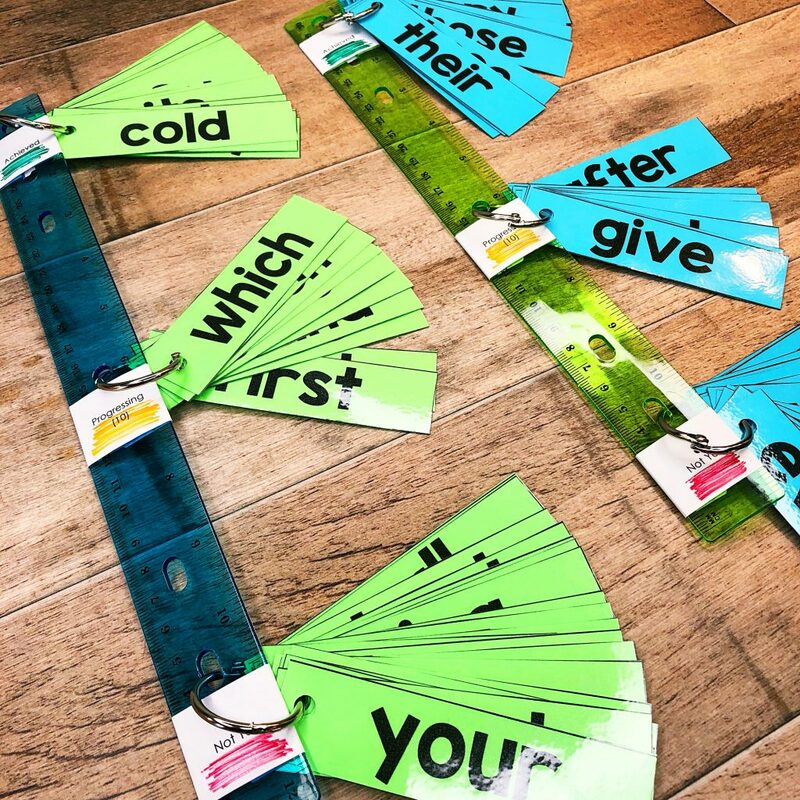 If your district uses their own list, there are editable sight word cards available in this resource. Once the sight word list has been decided, it’s time to do a sight word check on the students. 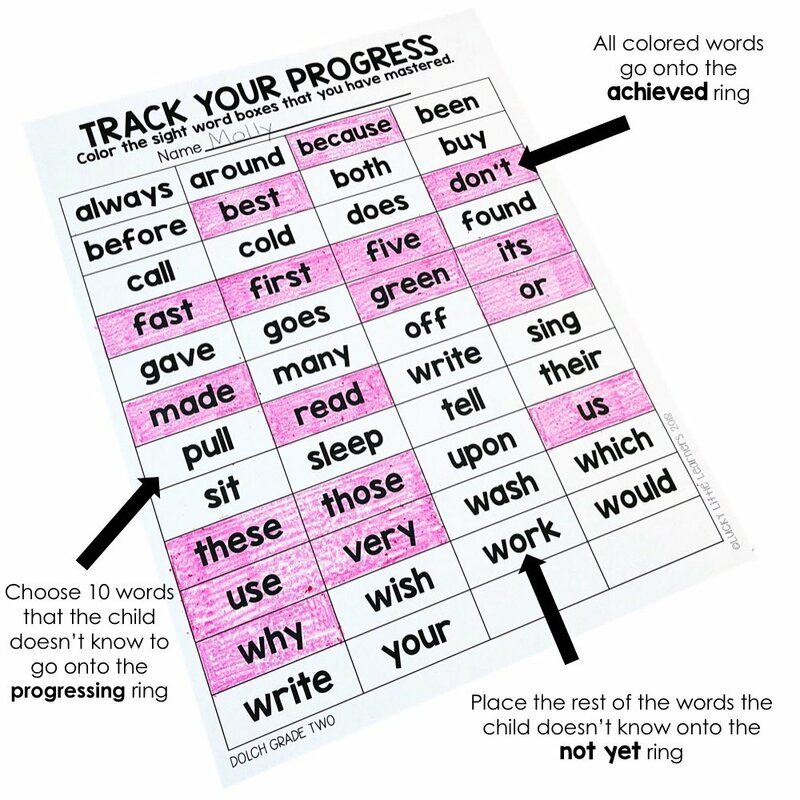 Use a checklist or progress tracker and have the students go through the words, reading the words that he/she knows. The child can color in the words that they know how to read. 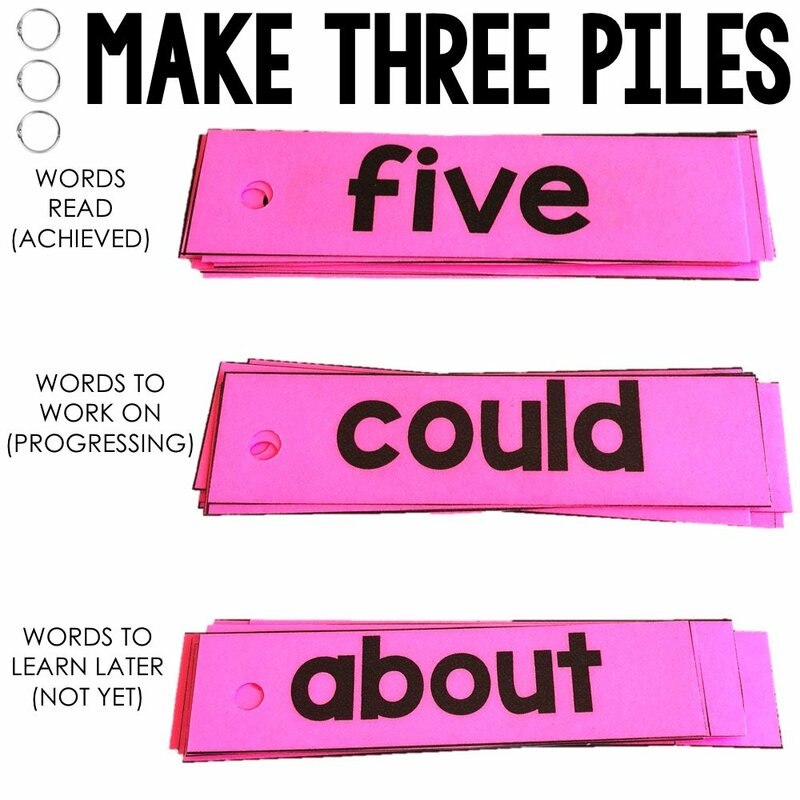 Once the words have been assessed, cut apart the sight words cards and put them into three piles as seen below. Each pile goes on the appropriate ring which then gets placed on the ruler. The appropriate labels, as seen above, go right onto the ruler. Placing a green line for achieved, yellow for progressing, and red for not yet are a nice optional visual for your little learners. 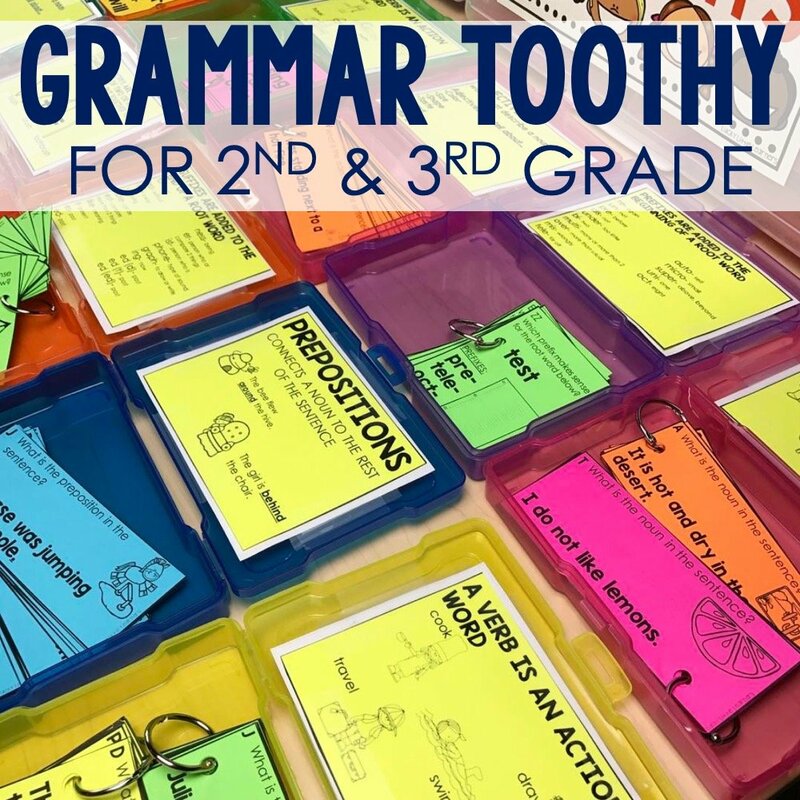 If you teach 1st grade I would suggest using these with all of your students. 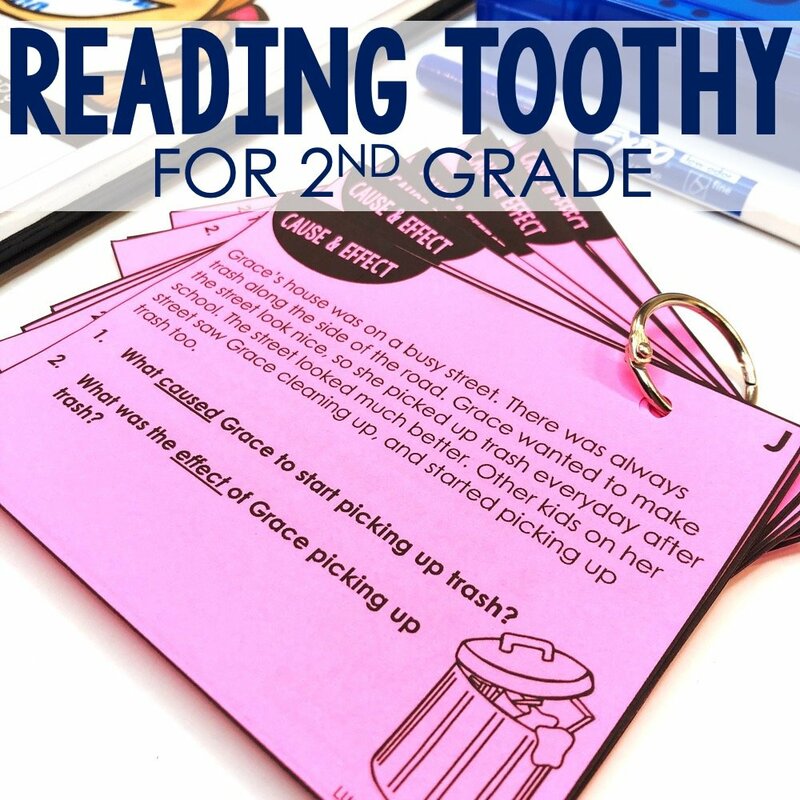 If you teach 2nd grade I would suggest using these with your students who are below grade level with their reading abilities. 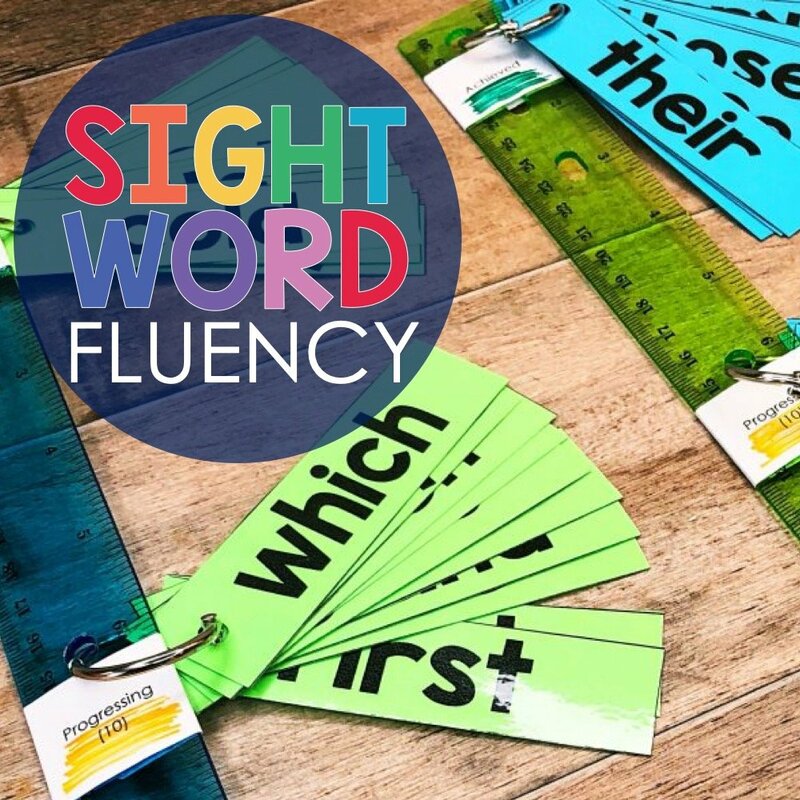 Once the students’ sight words are printed, cut, and attached to their fluency stick, all that is left is their fluency folder. 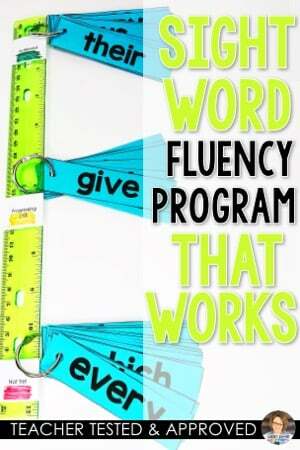 Inside the folder will be the fluency stick, letter home, extra sight word cards, and a tracking sheet. 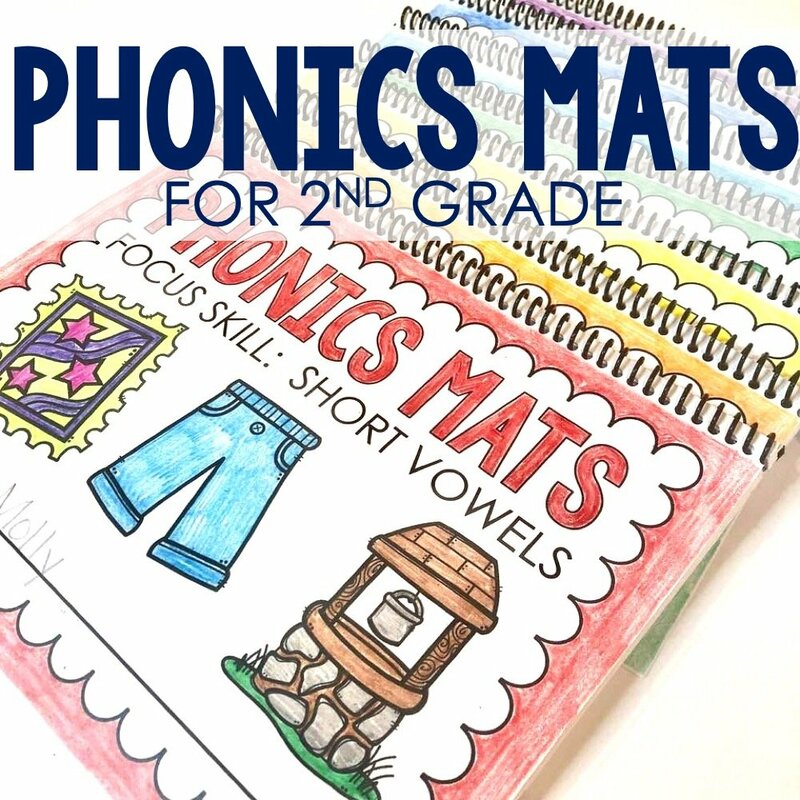 Students will practice their sight words both in class and at home. 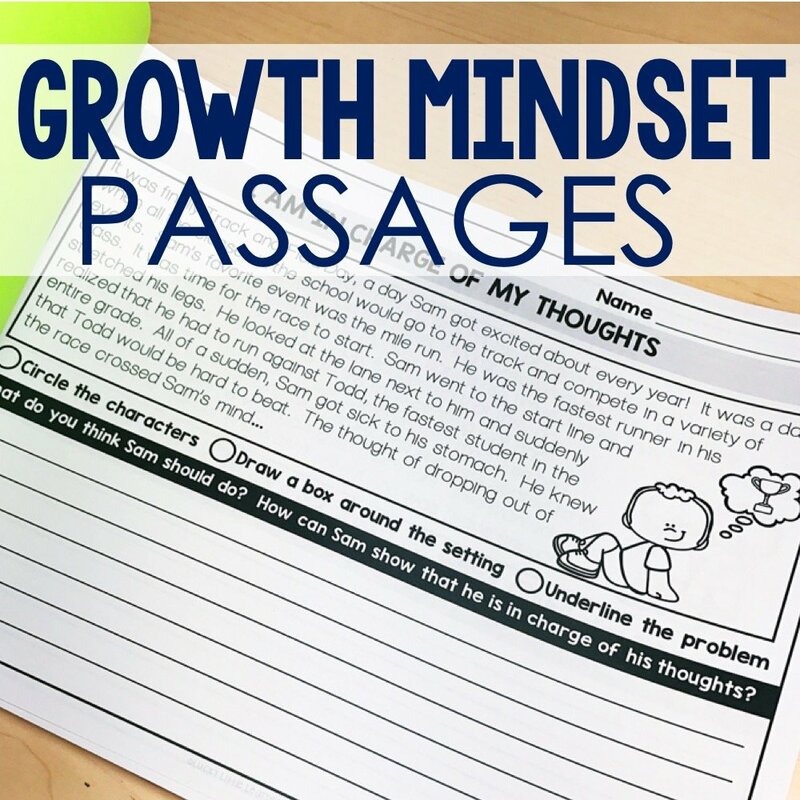 These make for great homework, reading warm-ups, or even early finishers. STUDENTS DO NOT MOVE THE FLASHCARDS THEMSELVES. The reason for this is because a teacher must assess them to make sure they can read the sight words within 3 seconds. I suggest checkin in with your students about once a week. 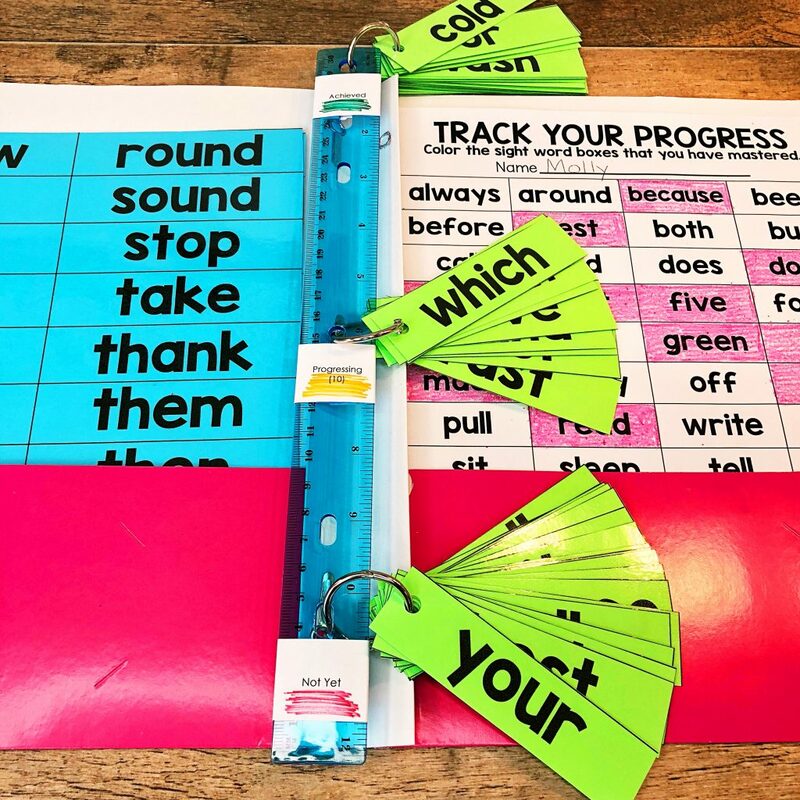 At that time, the cards that need to be moved can be moved up to the achieved level and the student can color in the sight word on the progress tracker. I suggest having them color before moving the word onto the achieved ring. 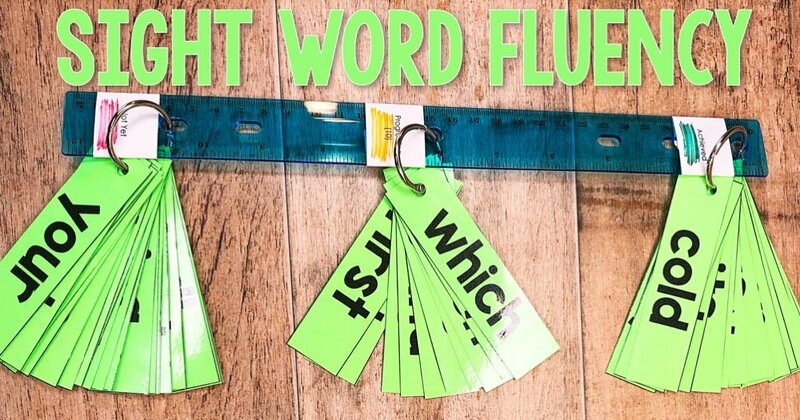 WHY DO SIGHT WORD FLUENCY STICKS WORK? 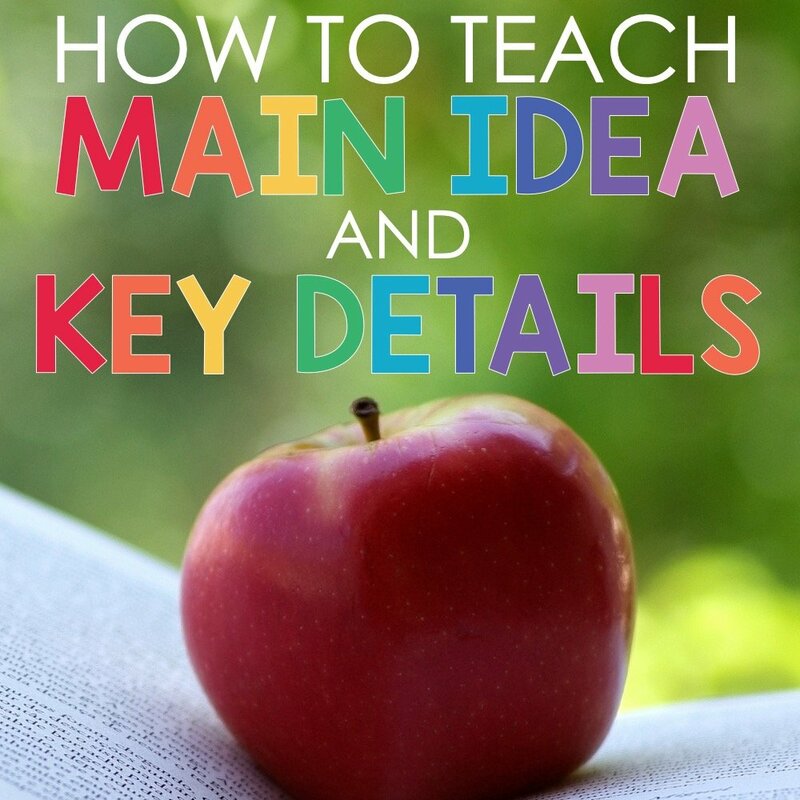 I strongly believe in this system because it is developmentally appropriate and meets the needs and ability levels of all the students in your classroom in a low stress and low maintenance way. 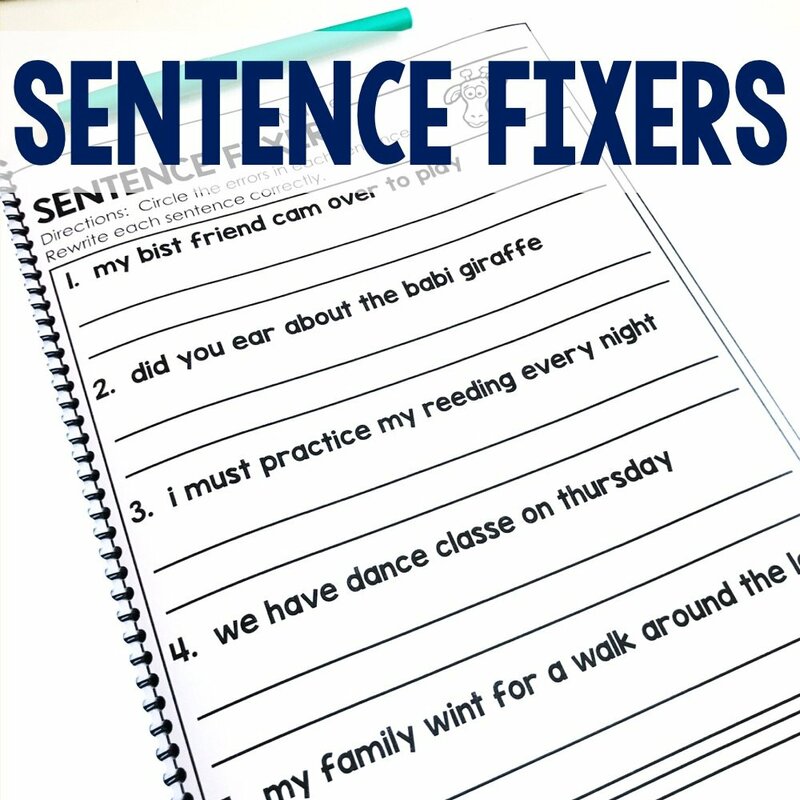 When students focus on 10 words at a time, this sets the child up for success. They are no longer overwhelmed with a pile of flashcards to practice. 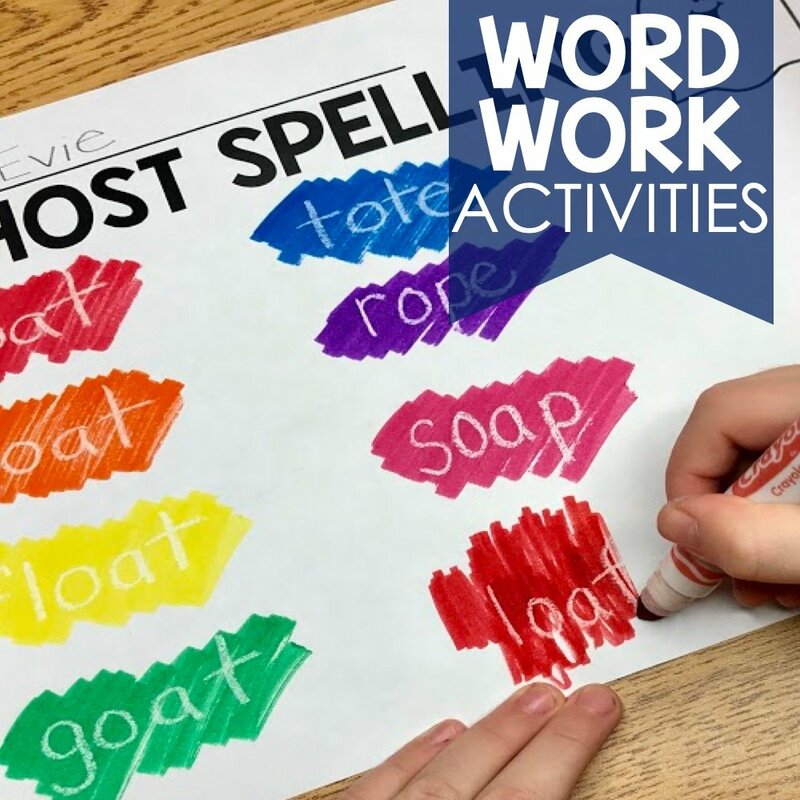 The weekly spiral practice of the mastered sight words allow for long term mastery. I also love that the program involves the families and shows them their progress as well as the benchmarks that they should strive for throughout the year. Having students track their own progress not only frees up the teacher’s time but also puts students in control of their own learning. 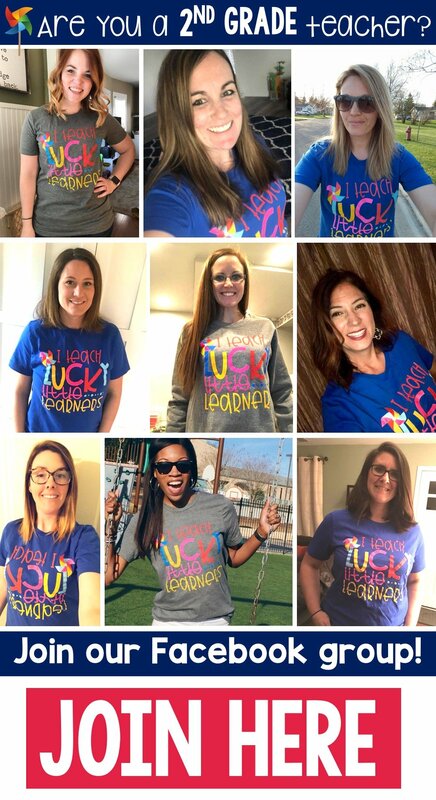 When they track and see their progress, it’s a powerful thing! 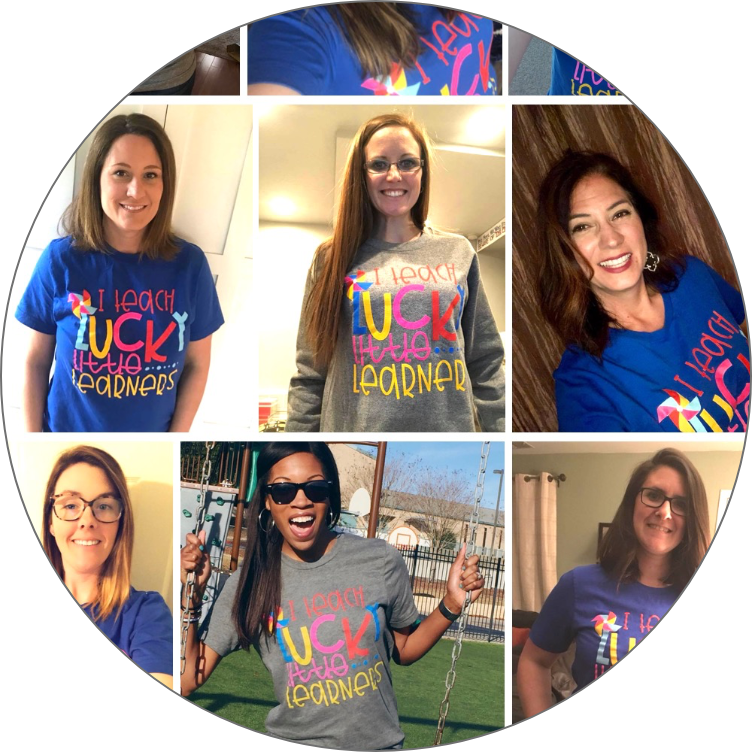 If you’d like to save this post for future reference, feel free to use the image below to pin to your Pinterest board or use this link to directly pin quickly and easily! I love all of your products and ideas-you are amazing!! I really am hoping you have or will create a spin off- on your camp read a lot- I am looking for a beach theme instead of camping. 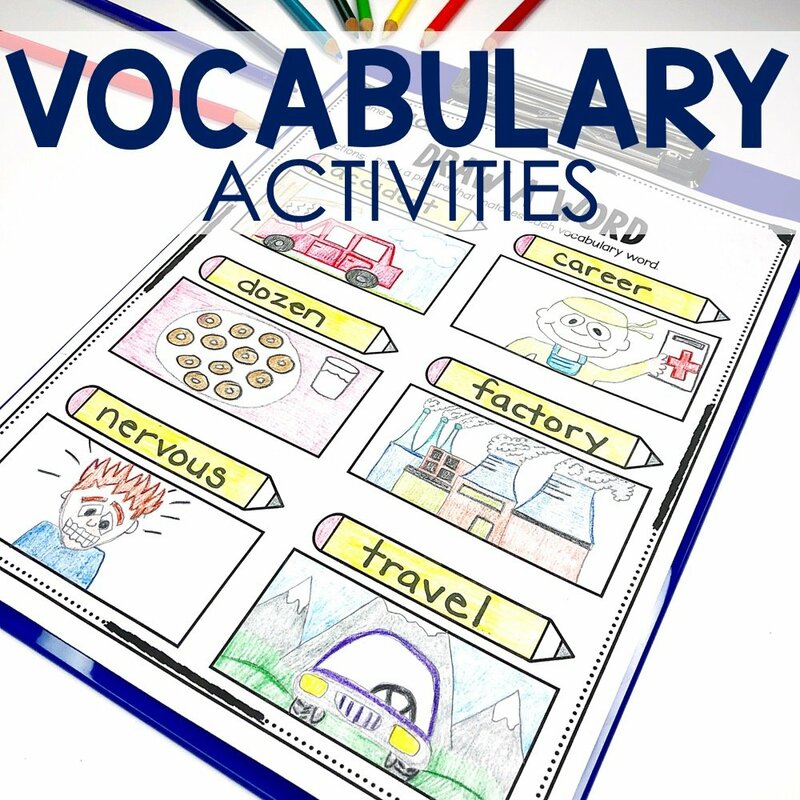 Do you have a list of words for the advanced kids? 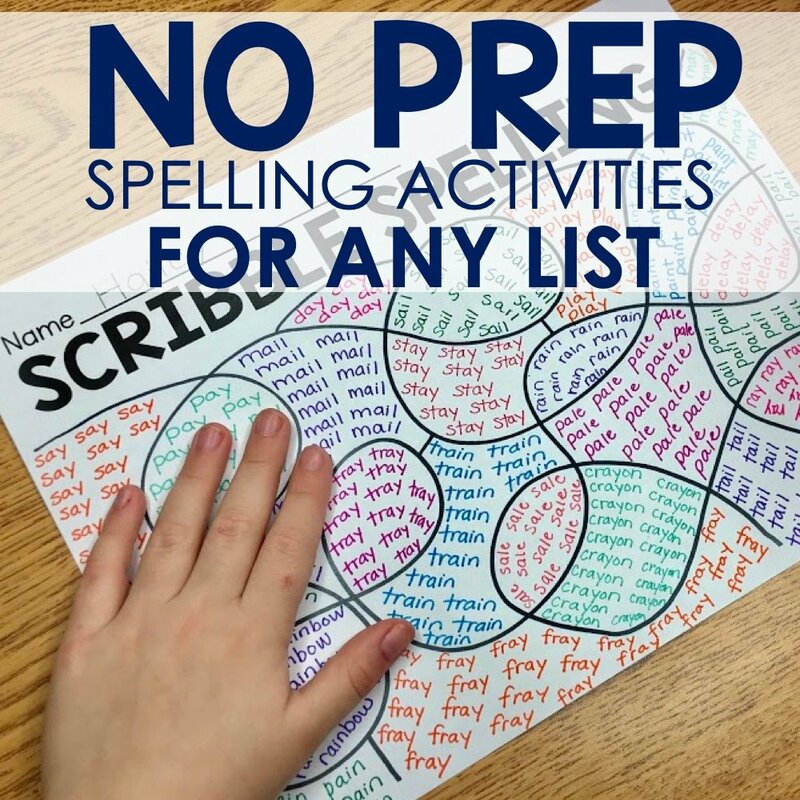 Mine want to do this activity but they know all the sight words. Do you have a kindergarten level of this? I love it!! I appreciate you taking the time to message me with your great suggestion. I will add it to my list and do my best to get to it. Have a great day! Do you think this would work in kindergarten? I am looking to up my sight word game next year. 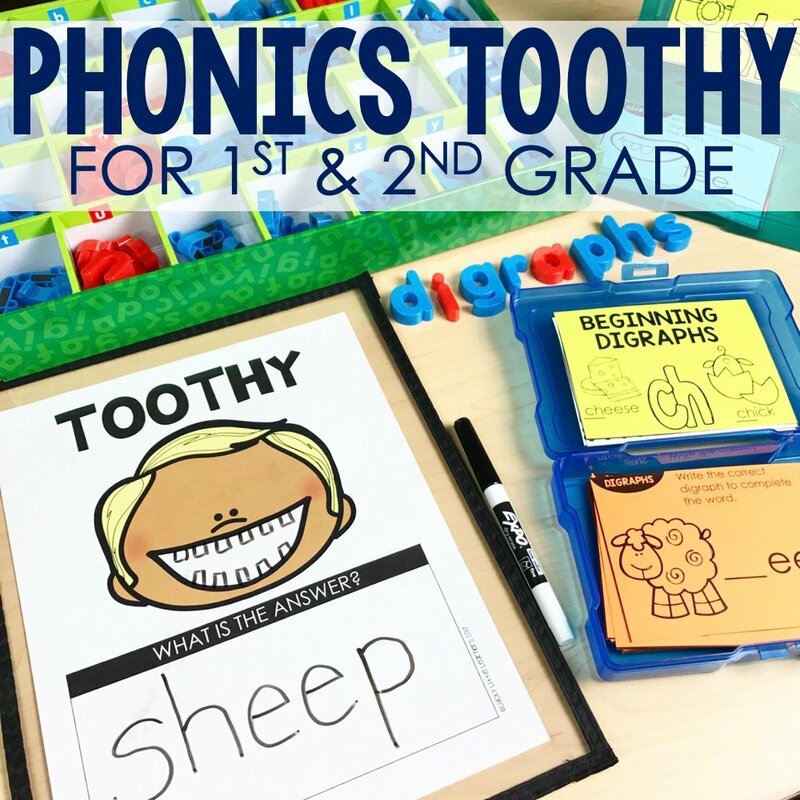 I don’t have a kindergarten set of the fluency sticks in my shop, but I do think that my toothy kit could be useful for incorporating sight words into your classroom! I have placed the link below for you to see if it’s at all something you would be interested in. Thanks for reaching out and have a great day! what a great idea! I can’t wait to try this! !